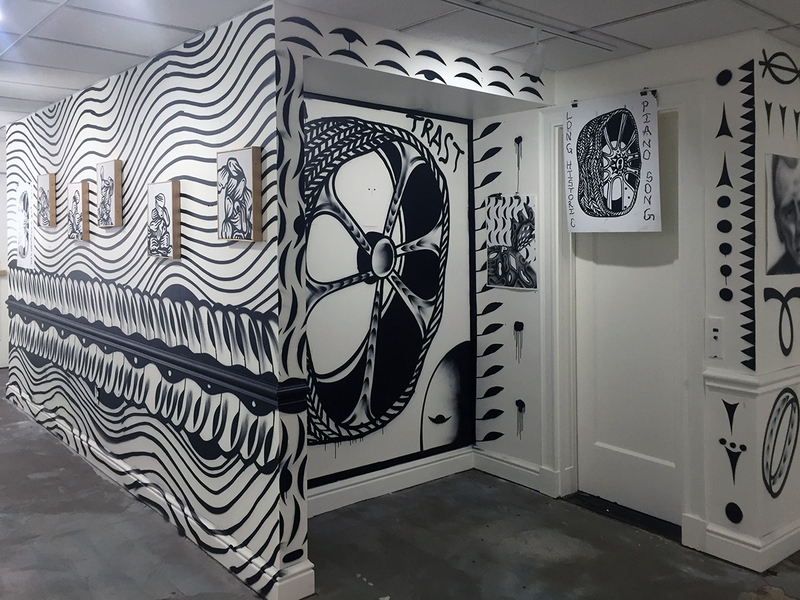 The Wasserman Projects gallery opened a multi-faceted set of exhibitions on January 25, 2019 that is eclectically diverse. 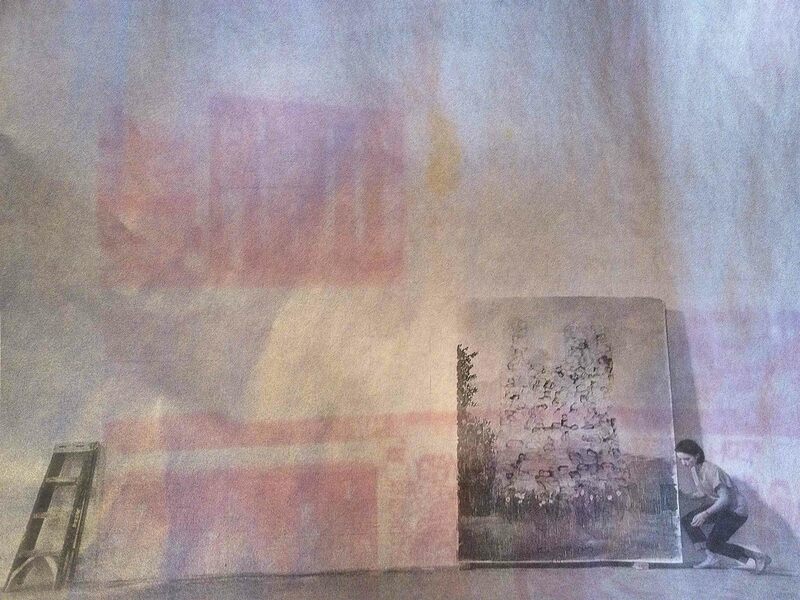 The work is divided into a solo show by Esther Shalev-Gerz, an exhibition that premiered at the Swedish History Museum, a group show, Portray, that includes fourteen artists from a variety of geographical locations that draws on previous artists represented by the gallery and includes new artists from Detroit, New York City and beyond. 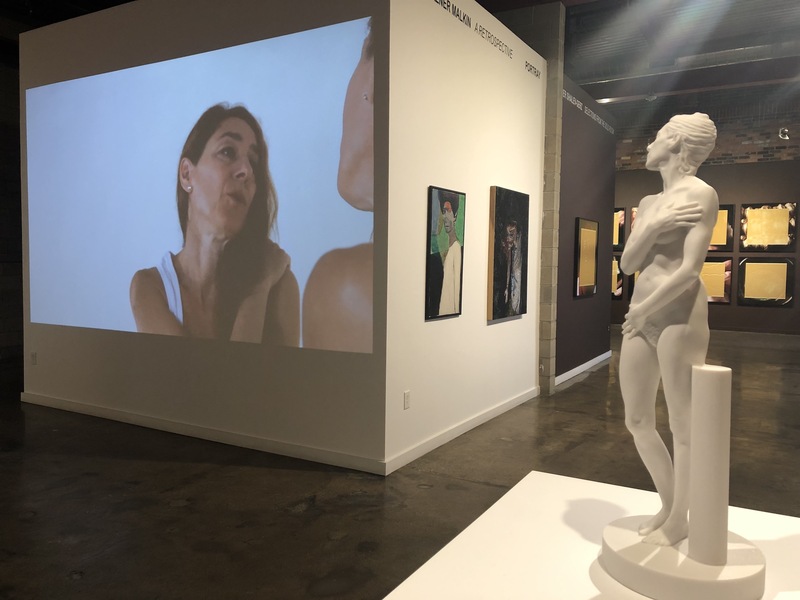 In addition, there is a retrospective by the American-Israeli artist Felice Pazner Malkin, introduced up front and continues in the rear gallery with representational works of art. 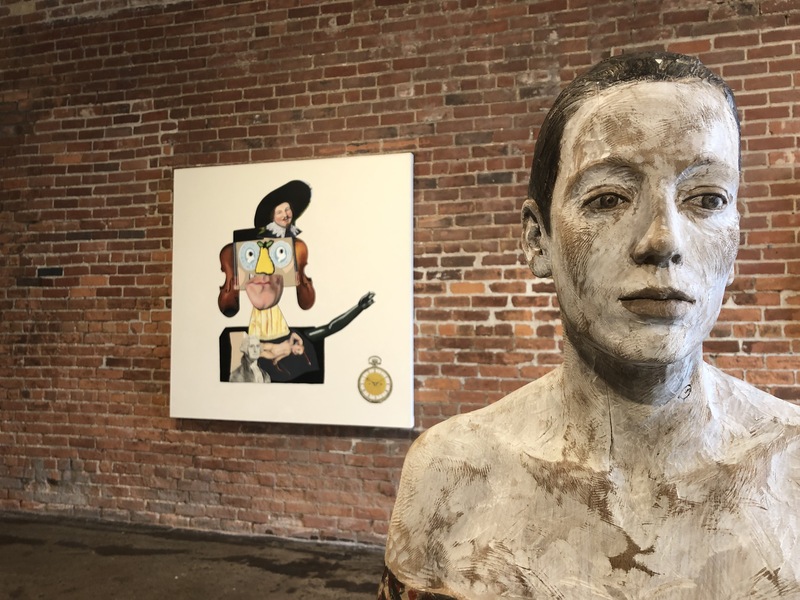 The exhibition also leverages the space at Wasserman which has more square footage than any major gallery in the Detroit Metro area, providing the viewer with a feeling that elevates the work to a near museum-like ambiance. The Esther Shalev-Gerz selections from The Gold Room, are unique in that the artist invited five individuals who recently found refuge in Sweden to speak to the personal importance of an object they brought with them when they migrated. 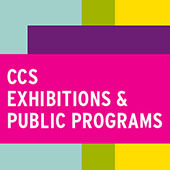 The exhibition requires the viewer to slow down and understand the process where a golden square floats over the center of the screen. 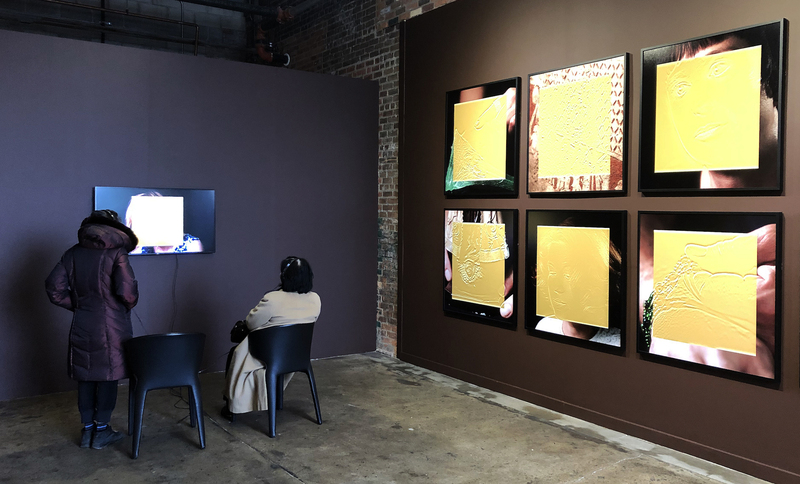 The work is a combination of photo portraits and a video installation, and which depict some of the featured participants and objects with their faces obscured by a golden panel. I have not experienced such a pristine marble full-figured self-portrait juxtaposed to a large screen video where the artist sings 1960 TV theme songs into a mirror, creating a double image of herself. These theme songs include “Happy Trails” from the Roy Rogers Show, and other themes from The Mickey Mouse Club, Star Trek, Superman, Yogi Bear, and Bat Masterson, to name a few. It does occur to me how that might be perceived based on one’s childhood experience and how that carries an emotional nostalgia for those of a certain age. As in our experience with all art, we bring our own individual experience to the moment. Susan Silas titles the sculpture A Study for Aging Venus, and in reading her history of this work, one finds out just how much technology was used in its creation and her plans for a larger sculpture. Susan Silas is a Hungarian-American national living and working in Brooklyn, NY. She earned her MFA at the California Institute of the Arts. Continuing with the female figure is the work of Bruno Walpoth, where the artist carves life-sized human figures from blocks of wood and finishes the sculptures with acrylic paint. He repeatedly covers and sands down the surfaces to mask evidence of the wood grain and achieve a translucent, skin-like appearance. The Italian sculptor is the son and grandson of wood-carvers, who grew up in a town known for its centuries-old carving tradition. He traces his inspiration even further back, to the deeply human portraits of early Renaissance painter Piero della Francesca. 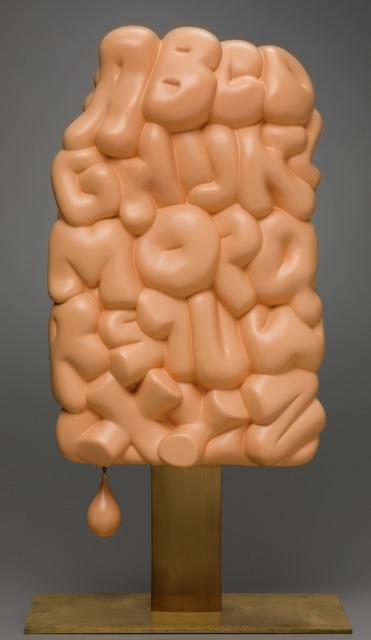 Within the context of figurative sculpture, it’s interesting and refreshing to see an artist reach back and create something so totally new, a metaphor for all visual art being made today. Portray includes paintings, photography, sculpture, works on paper, and mixed-media installations by Ken Aptekar (New York/Paris), Adnan Charara (Detroit), Donald Dietz (Detroit), Matthew Hansel (New York), Robert Raphael (New York), Michael Scoggins (New York), Esterio Segura (Cuba), Susan Silas (New York), William Irving Singer (Detroit), Ryan Standfest (Detroit), Koen Vanmechelen (Belgium), Jamie Vasta (Oakland, CA), Bruno Walpoth (Italy), and Hirosuke Yabe (Japan). 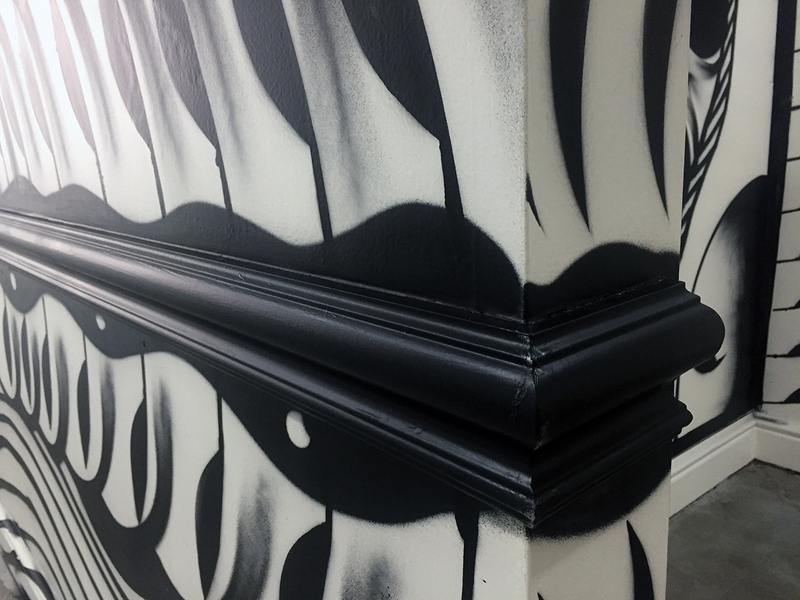 Wasserman Projects was conceived by Michigan-native Gary Wasserman and opened its doors in a former firehouse in Detroit’s historic Eastern Market, one of the oldest and largest year-round markets in the U.S., in fall 2015. 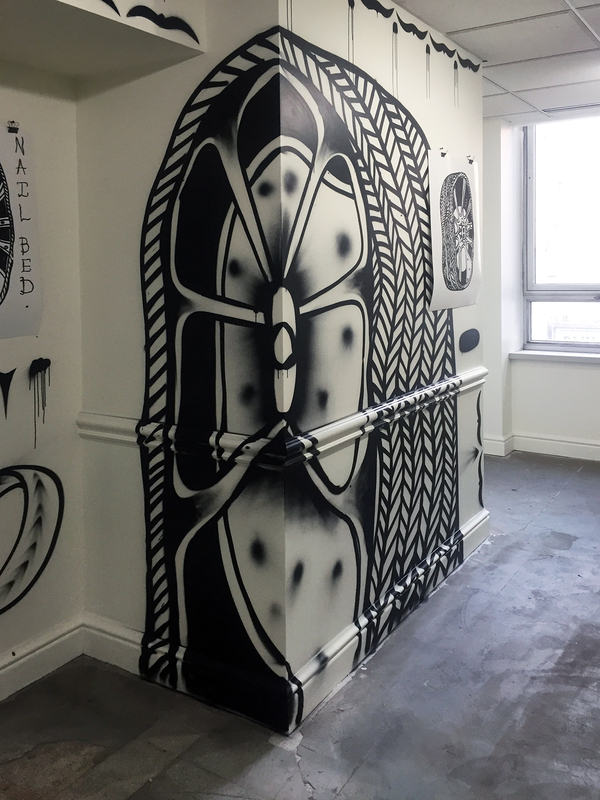 Wasserman Projects is guided by a spirit of collaboration, recognizing that artist projects are best realized and most meaningful when they engage a broad range of cultural organizers, community leaders, and the dynamic and diverse populations of Detroit. The organization works with artists from across disciplines and around the world, presenting exhibitions and performances that will spark a discourse on art, but also cultural, social, or political issues, which are particularly active and timely in Detroit. Annabeth Rosen: Fired, Broken, Gathered, Heaped (installation view), 2017. Photo by Gary Zvonkovic. Courtesy the artist and the Contemporary Arts Museum Houston. 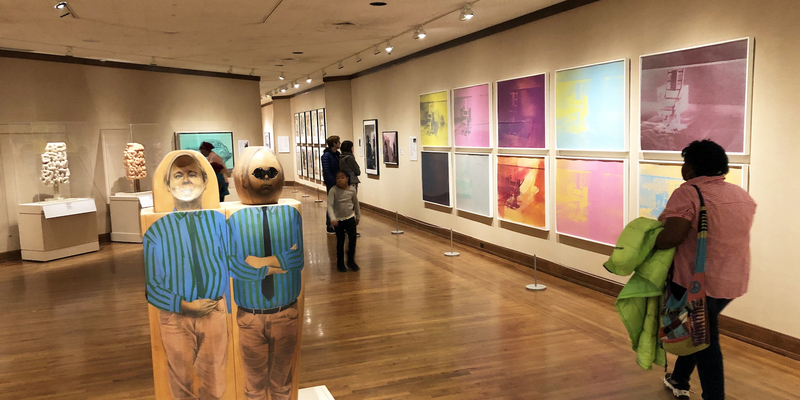 Two Cranbrook MFA graduates, Annabeth Rosen (81) and McArthur Binion (73), have returned to the Cranbrook campus at the Cranbrook Art Museum (CAM) as seasoned artists with exhibitions that provide a platform to exemplify their accomplishments. 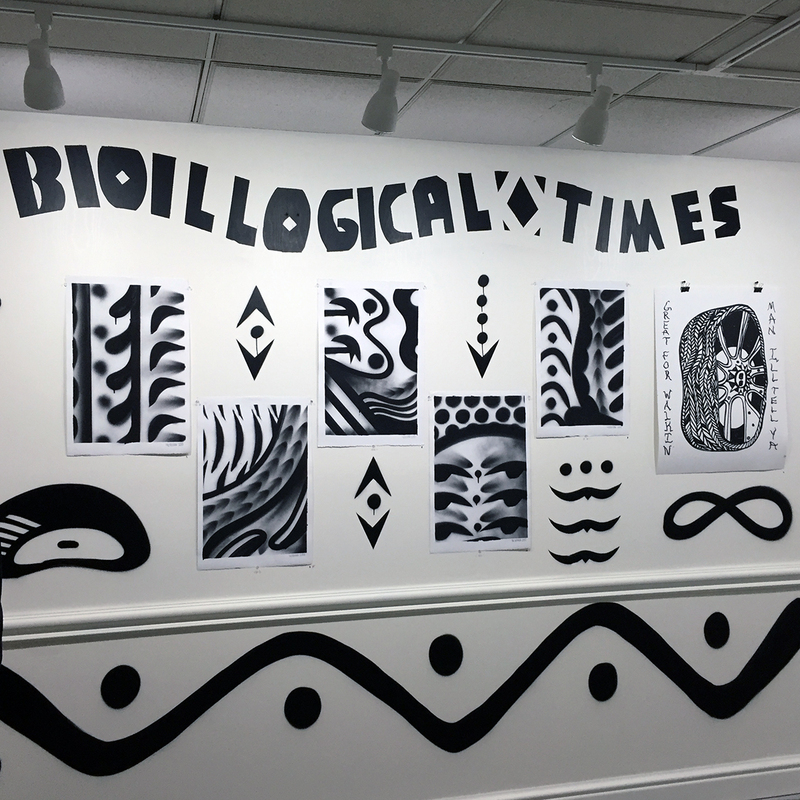 The exhibition opened November 17th, 2018 and runs to March 10, 2019, easily utilizing the spacious galleries, especially the Annabeth Rosen exhibit, which is nothing less than mammoth in its scope. 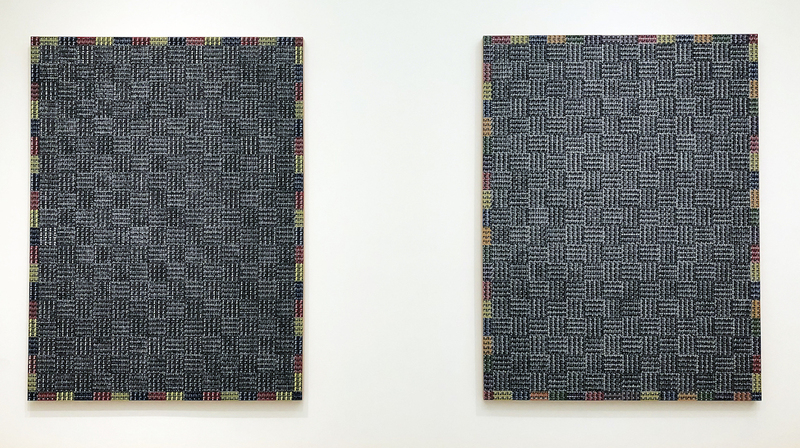 I’ve written about McArthur Binion before and seen his work representing the United States at the Venice Biennale in 2017, so when this exhibition first came to my attention, I assumed Binion would be my focus. But the exhibition of his work here at CAM is modest in comparison to the work of Rosen in both the Main and the Larson galleries. Her work is the artist’s first major museum survey that archives more than twenty years of work. A critically acclaimed pioneer in the field of ceramics, Rosen brings a deep knowledge of the material’s history and processes to the realm of contemporary art. Annabeth Rosen: Fired, Broken, Gathered, Heaped (installation view), 2018. 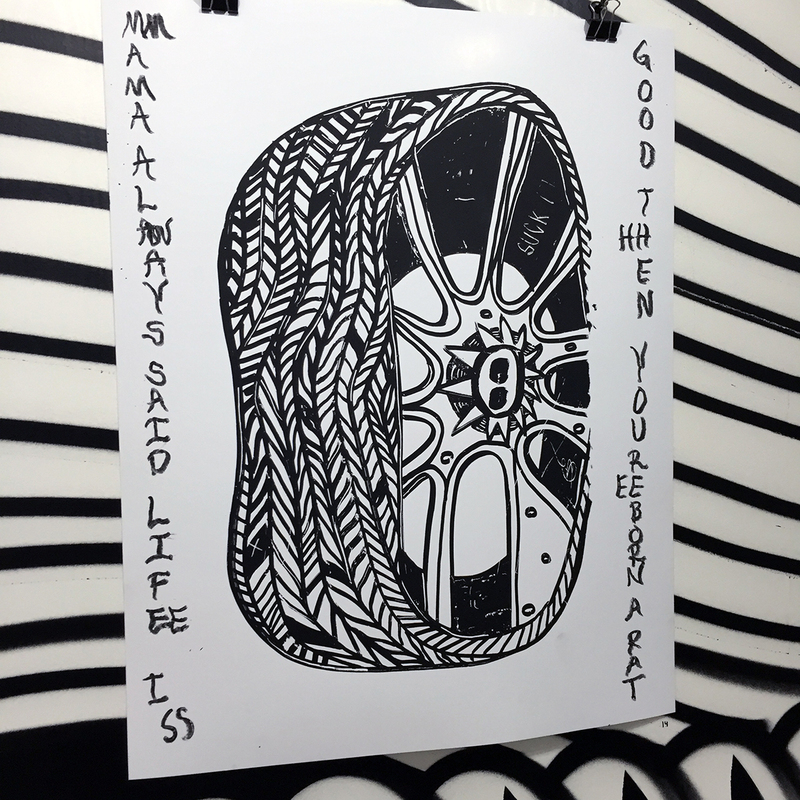 Photo by Detroit Art Review. 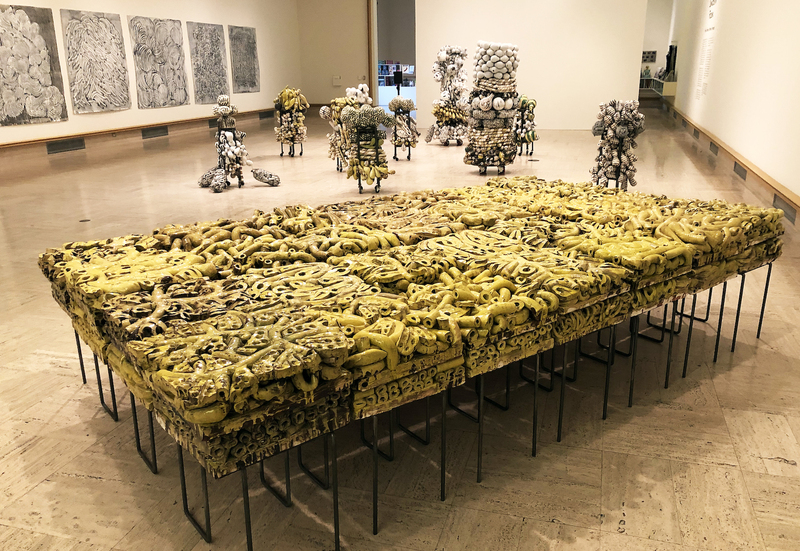 Rosen’s work is curated by Contemporary Arts Museum of Houston’s senior curator, Valerie Oliver, and surveys two decades of her ceramic additive work that has a derivative aspect found in abstract expressionistic art. 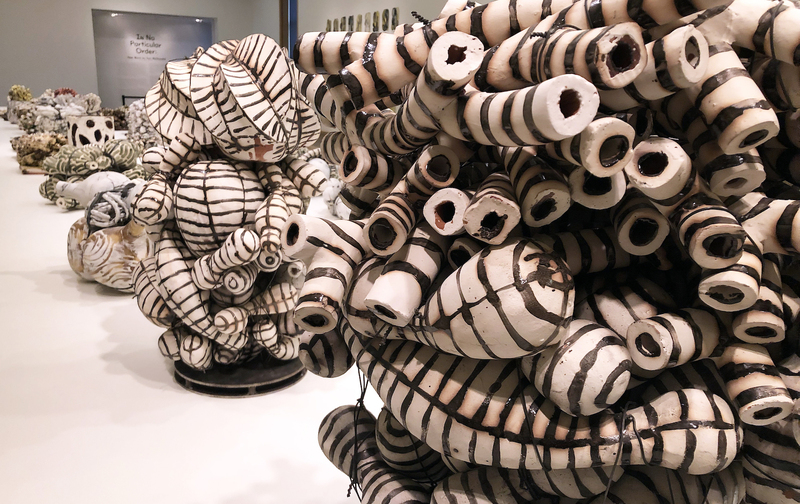 Her studies at Cranbrook under Artist in Resident Jun Kaneko encouraged her to experiment with non-functional forms and separate her work from the traditional role of ceramics as functional craft. Much of Rosen’s work is assembled with already-fired broken parts which have been reassembled, re-glazed, and ultimately re-fired, adding wet clay to the process. 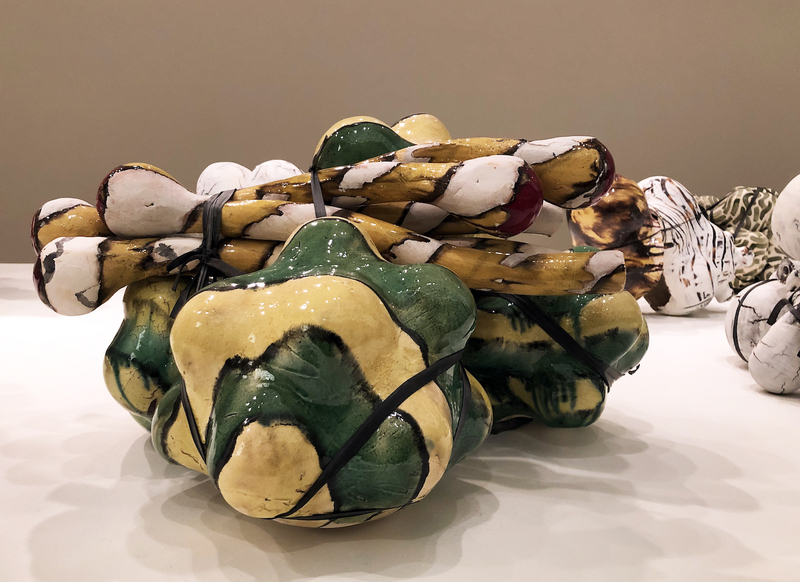 Annabeth Rosen, Fired and glazed ceramic, Bundle, and rubber ties. 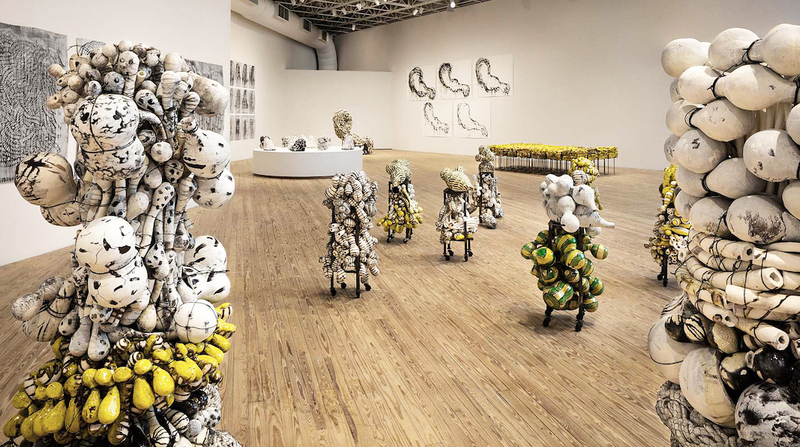 The ceramic work is divided up into categories: Mash Ups, Bundles, Mounds and Drawings. Some of the Mounds are bound together by wire, and others are smaller shapes (Bundles) that have been bound using rubber that might be made from a bicycle inner tube. Rosen began vertically stacking these bundles of ceramic and mounting them on a steel frame set on four wheels. Rosen has developed an acute interest in non-functional ceramic forms as abstract expressionistic sculpture along with painterly compositions of paint on paper. It would be impossible to ignore the works on paper as a major force that directly relates to the ceramic work. These compositions that are constructed with a gestural stroke are both studies and stand-alone work that underpins a philosophical and conceptual driven force behind her sense of creation. The process in the drawing and ceramic work reveals her hand is symbiotic, where one influences the other. Rosen seems to muster strength in her drawings as inspiration and influence for the ceramic sculpture work that follows. All the drawings, which could easily be considered paintings, are created without the consideration of color and this seems to this viewer to place the emphasis on the compositional creation of line, movement, shape and space. 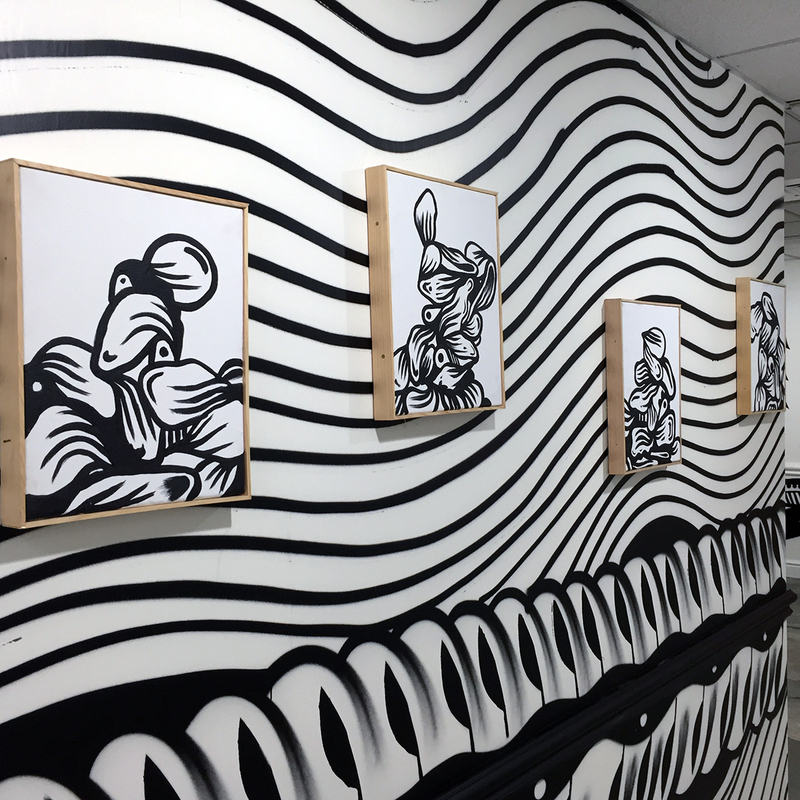 All the work, ceramic and on paper, is a bi-product of her internal meditations and illustrates a unique utilization and application of materials, techniques and concepts. Annabeth Rosen, Installation view, Fired and glazed ceramic, and steel baling wire. 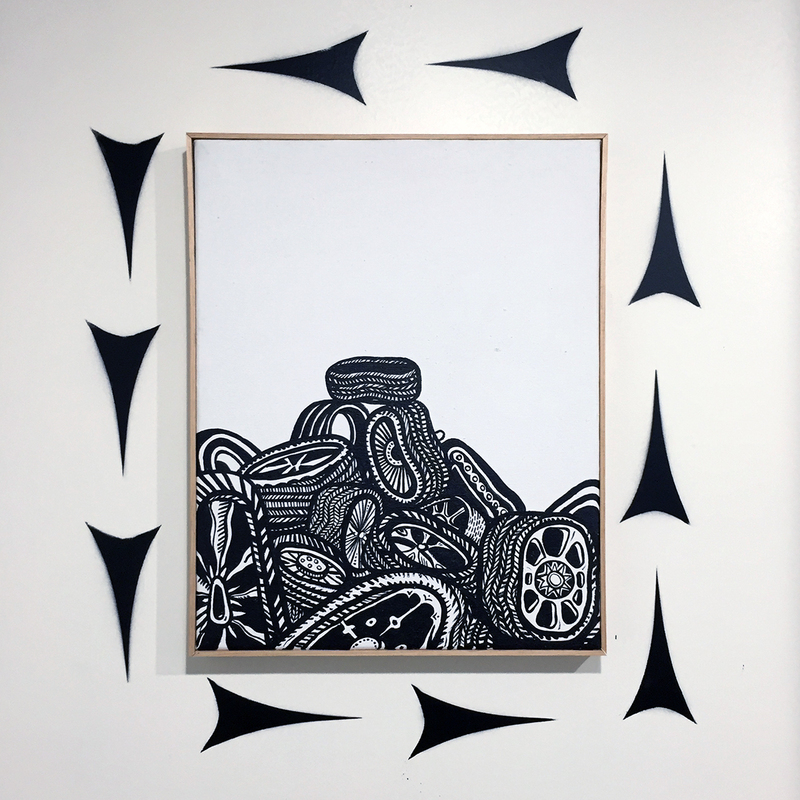 Annabeth Rosen studied at Alfred University (BFA) and the Cranbrook Academy of Art (MFA), and has gone on to teach at the Rhode Island School of Design, the University of the Arts in Philadelphia and the Art Institute of Chicago. Since 1997 she holds the Robert Arneson Endowed Chair at the University of California, Davis. In Cranbrook Art Museum’s North Gallery, the Chicago-based artist McArthur Binion says that he had a note pinned to his wall for decades that read “Binion/Saarinen”,obviously something that came from his graduate studies at Cranbrook Academy of Art during the early 1970s. This idea is obviously generated from literally living on the campus and being surrounded by the Finnish architecture of Eliel Saarinen who immigrated to America in 1923 after the completion of the Chicago Tribune building in 1922 and who went on to be a visiting professor at the University of Michigan before developing the entire Cranbrook campus for George Booth. 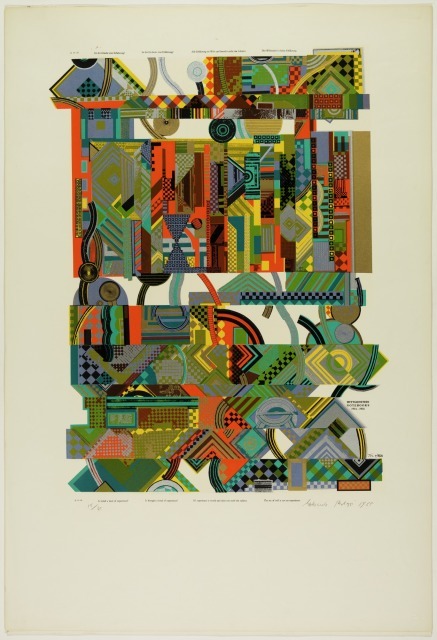 Perhaps it was the grids inherent in these architectural structures that made a deep impression on Binion, a Mississippi-born African American who developed his own visual language-based graphic elements, particularly circles and grids. 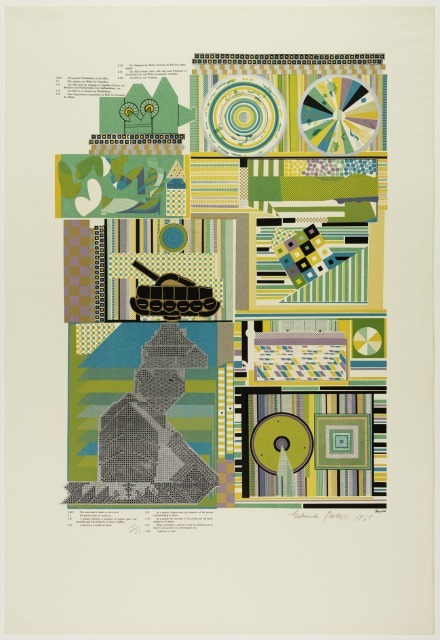 He says, “My work begins at the crossroads—at the intersection of bebop improvisation and Abstract Expressionism”, and at times he has described his work as rural Modernist.Binion uses oil stick, crayon and, more recently, laser-printed images to create his lushly textured and colored geometrically patterned works. The work in the Cranbrook exhibition is produced on board with small photo printed images as a background field for this tightly knit grid produced with hard pressed oil paint stick. These carefully measured grids and hand-done hatchings cover tiny images that usually have some personal meaning to the artist. In the past, the work often incorporated biographical documents, such as copies of his birth certificate or pages from his address book. 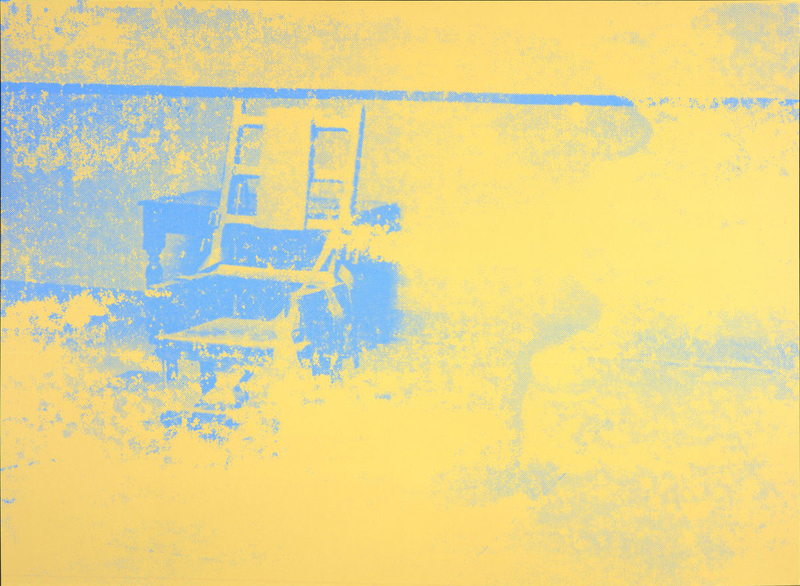 These new paintings use autobiographical photo imagery of both Saarinen and himself in their early thirties as a background for his delicate squared-off grid that could be easily described as minimalist abstraction from a distance. Upon close examination, this personal element attempts to bond the two together, at least from Binion’s perspective. 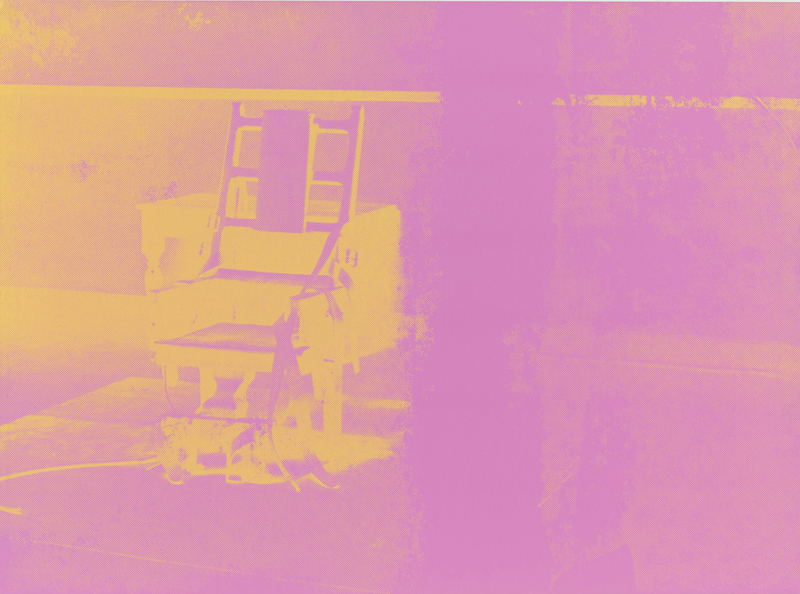 In addition, the gallery space includes painting, drawings and furniture by Eliel Saarinen. 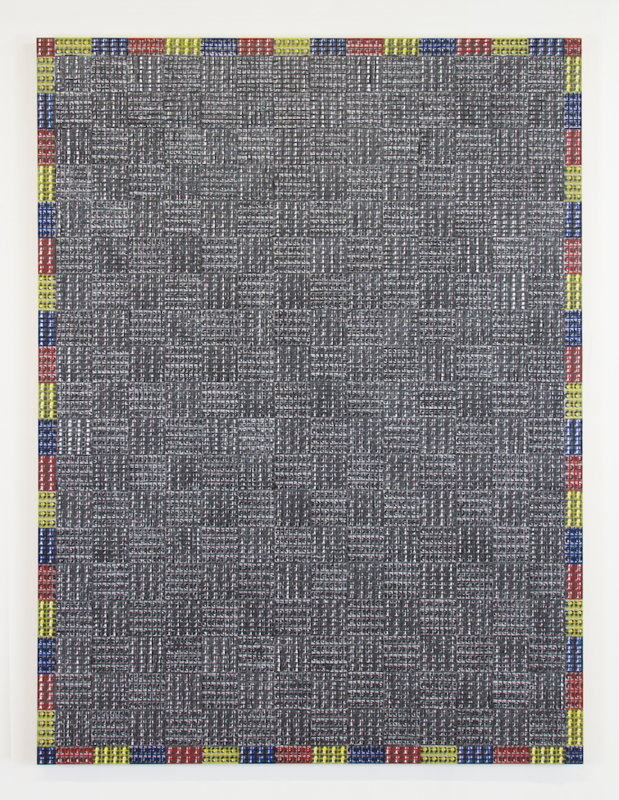 McArthur Binion’s paintings are largely symbolic and achieve an expressive resonance that defies the reductive materialism of minimalism. They are formed out of an unlikely confluence of influences, including such Modernist masters as Piet Mondrian, and Wifredo Lam, as well as his own southern African-American heritage, reflected in his mother’s quilts and West African textiles. Persistence and discipline fortifies Binion’s practice and his succinct, richly personal compositions. 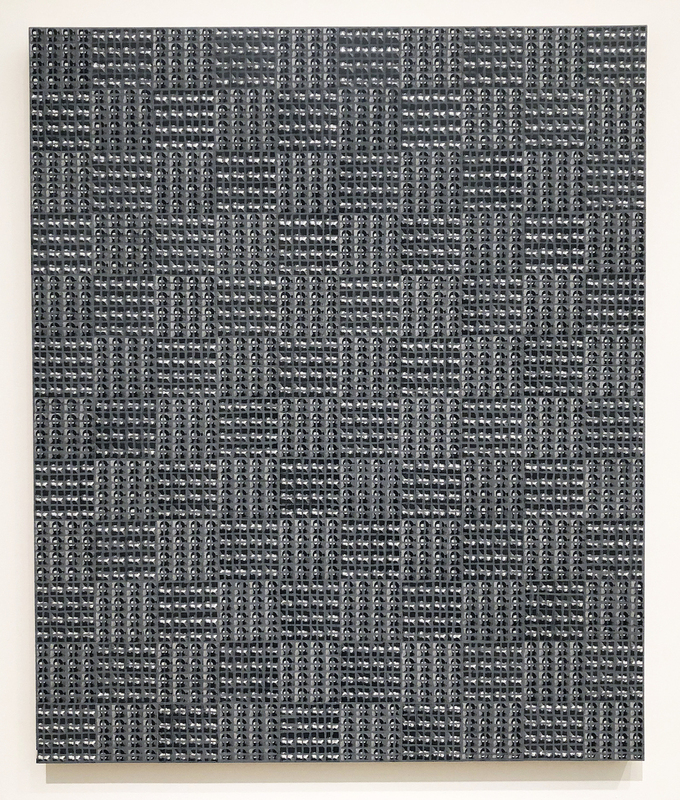 His work is included in the permanent collections of the Metropolitan Museum of Art, New York, and the Smithsonian National Museum of African American History and Culture, Washington, D.C.
Binion/Saarinen: A McArthur Binion Project is organized by Cranbrook Art Museum and curated by Laura Mott, Senior Curator of Contemporary Art and Design. 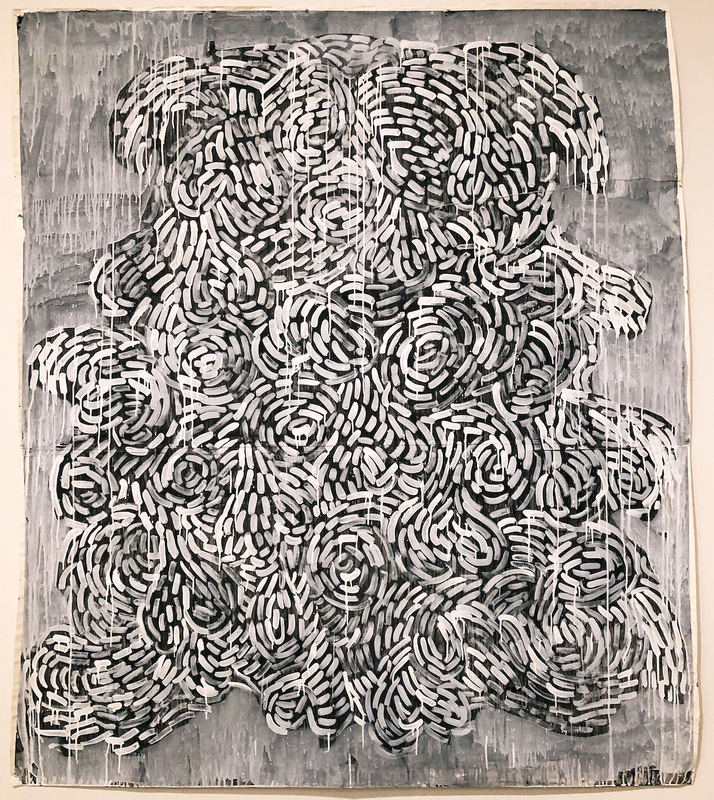 Annabeth Rosen: Fired, Broken, Gathered, Heaped and McArthur Binion: Binion/Saarinen, at the Cranbrook Art Museum runs through March 10, 2019. If there’s a fearsome female gaze that can make Manet’s icy Olympia seem coy and puerile by comparison, it’s that of the determined Harriet Tubman, rendered in ink by Charles White during the height of the Civil Rights movement. Famous for liberating hundreds of slaves during the Civil War, here she becomes a contemporary symbol for racial equality, and could, with little imagination, plausibly be seen among those marching on the front lines across Pettus Bridge in Selma, Alabama. She’s emblematic of White’s work, which unfailingly depicted black America with strength, regality, and dignity. Born in 1918 on Chicago’s South Side, African-American artist Charles White began his career inauspiciously as a sign painter; he would later become one of the most accomplished draftsmen of his generation. His style had extraordinary reach, ranging from the gently abstracted figures that peopled his WPA mural paintings of the late 1930s to his tight and refined graphite and ink drawings of the 1960s. Charles White: A Retrospectiveis a muscular show that snugly fills half of the MoMA’s third floor with over 100 drawings, paintings, and other ephemera. 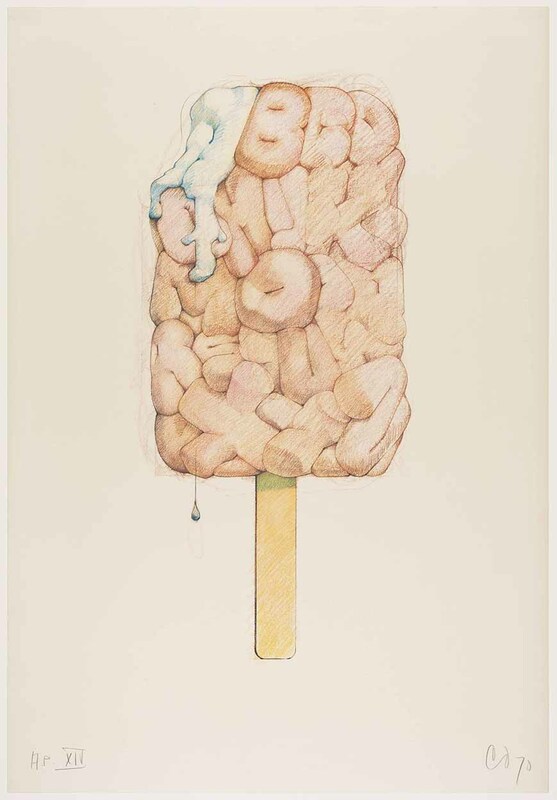 White’s first major show in 30 years, this traveling exhibition champions the enduring appeal of figurative drawing, and his socially-conscious subject matter keeps his work uncannily relevant. Arranged chronologically, the retrospective begins with his early paintings, produced when White was a freshly minted graduate from the School of the Art Institute of Chicago in 1938. His early mural Five Great American Negros is an early tour de forcethat established several of the tropes that defined much of White’s subsequent career. Painted when he was just 21 for a fundraiser for Chicago’s South Side Community Art Center, the painting celebrates Booker T. Washington, Frederick Douglass, George Washington Carver, Marian Anderson, and Sojourner Truth. The mural’s heaving landscape and figural distortions rhyme with the regionalist paintings of Thomas Hart Benton, but, as ever, White’s work also spoke to contemporary social injustices. He painted the mural in 1939, the same year that gospel singer Marian Anderson was refused permission by the Daughters of the American Revolution to perform at Constitution Hall because of her race, and her inclusion in the work freights the painting with timely relevance and political weight. 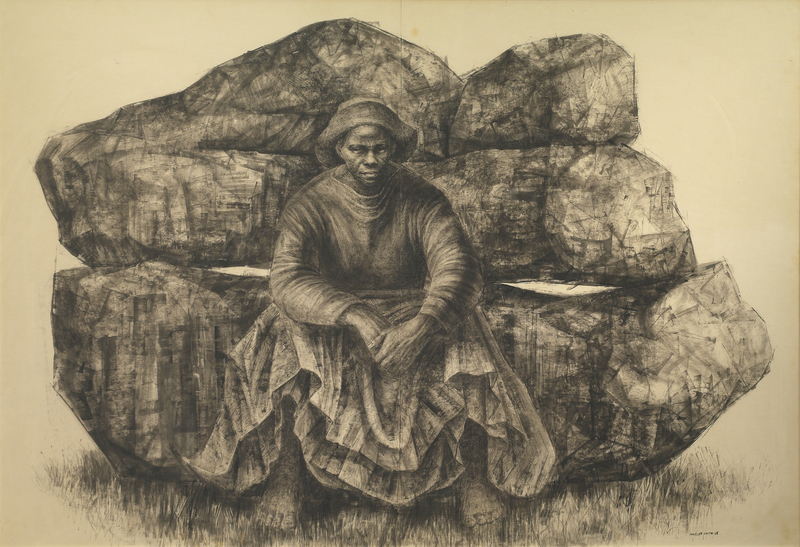 Charles White believed that artists had a moral obligation to contribute to social discourse, and to this end his work aggressively addressed racial injustice and economic disparity in America. In the 1940s and 50s White produced soulful and moving works like There were no Crops This Year, a Steinbeckian depiction of a visibly distraught husband and wife; an empty sack which the woman holds is the only prop in the drawing, but it’s enough to tell their story. And his poignant and incriminating proto-cubist Headlinesdepicts a visibly distraught woman flanked by a veritable blizzard of news headlines that reveal instances of racial inequality in America. His use of collage and text mirrors the synthetic cubist experiments of Picasso and Braque, but here White masterfully harnesses the vocabulary of cubism and channels it toward social protest. 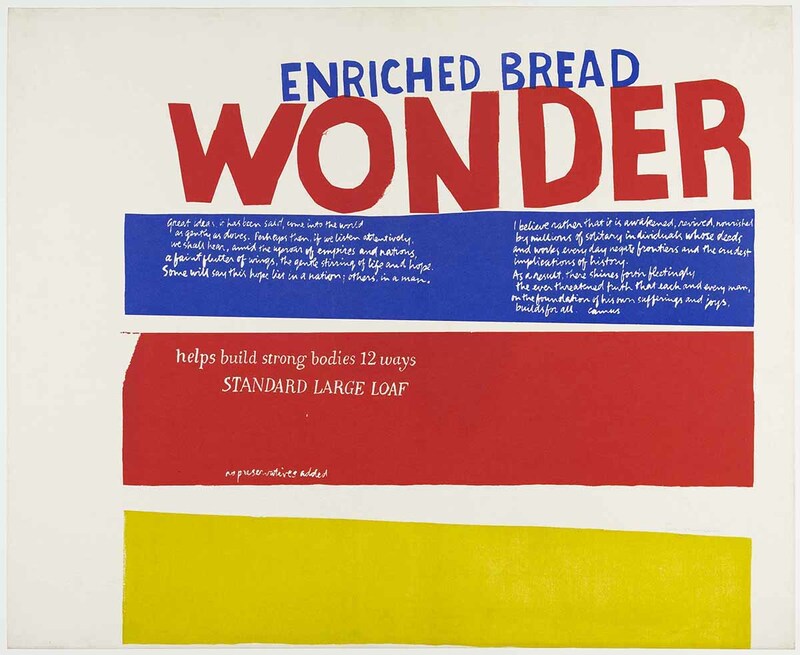 But while his works frequently addressed racial and economic inequality, White managed to avoid producing an oeuvre drearily burdened by politics. His brightly painted Gospel Singers radiates joy, and the strong, pitchfork-wielding woman in Our Land (White’s witty response to Grant Wood’s American Gothic) radiates confidence, determination, and, above all, dignity. Music also played a significant role in his output, and he produced affectionate drawings of gospel singers Mahalia Jackson, Paul Robertson, and Bessie Smith. White created cover designs for a series of jazz albums by Vanguard Records, and in 1965 his illustration for Gould: Spirituals for Orchestra received a Grammy nomination for best album cover. 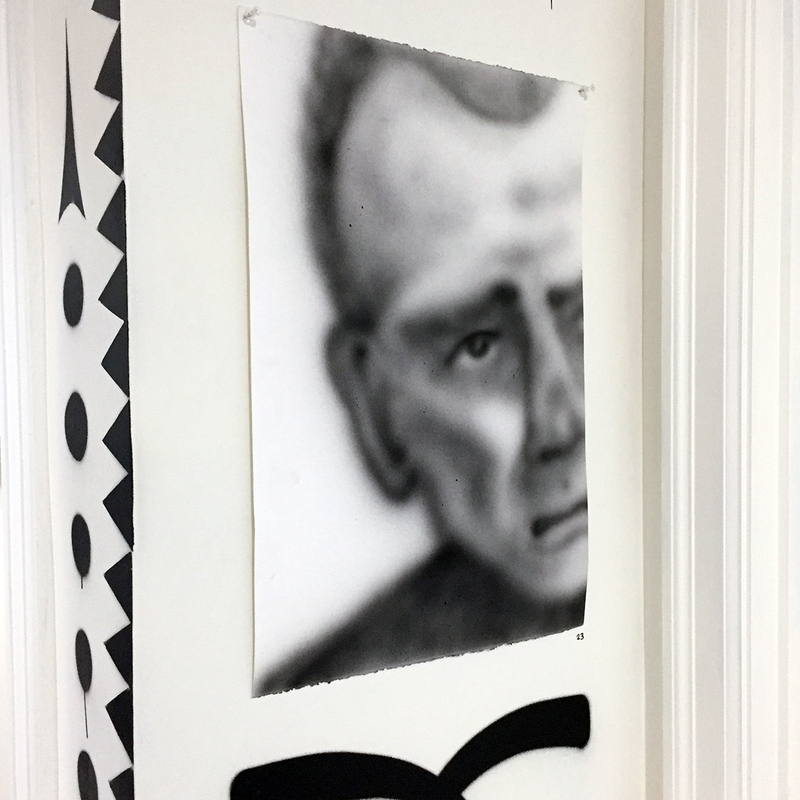 But the musical collaboration this show especially highlights is that of Charles White and Harry Bellefonte, whose recorded voice croons uninterruptedly throughout the exhibition space. 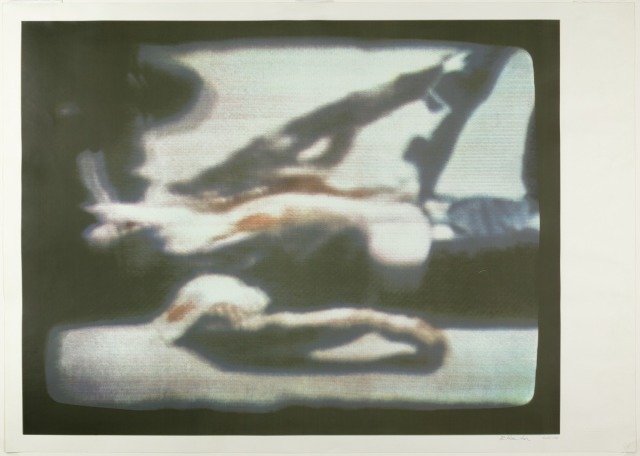 Bellefonte commissioned works by White, often including them on his television show, and White responded with several portraits of the singer, head thrown back, utterly abandoned in music. Fittingly, because of the close relationship White had with so many musicians, the MoMA has thoughtfully assembled a Spotify playlist of music inspired by the show—there’s everything from old spirituals to gospel music and James Brown. In the 60s and 70s, White’s work continued to address social justice and civil rights, but his style became increasingly crisp, a marked departure from his previous abstracted depictions of the figure. 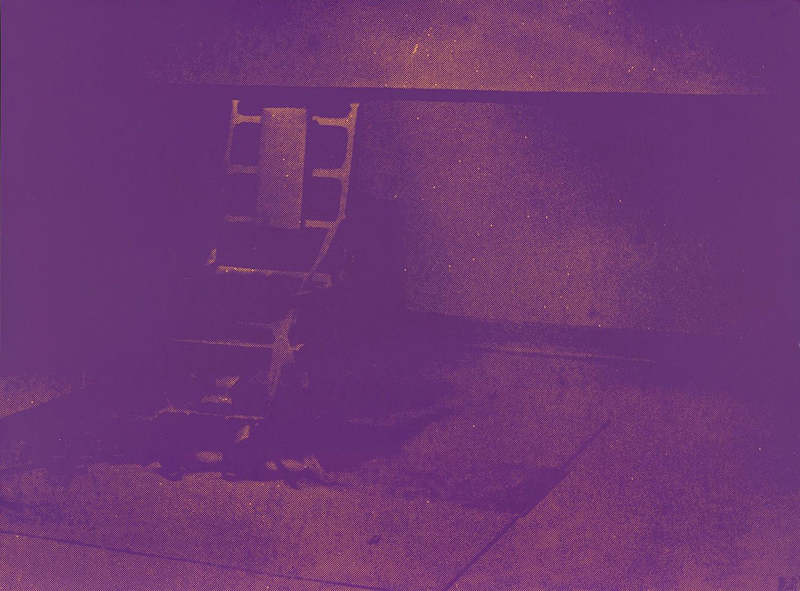 It’s a stylistic shift made apparent in his 12-part series J’Accuse (“I accuse”), a series of confrontationally large ink drawings collectively named after Emile Zola’s open letter to the French government in which Zola famously defended Richard Dreyfus, a Jew wrongfully convicted of murder. The series’ title equated American racial inequality with European Antisemitism, but the drawings themselves refrain from directly referencing any instances of injustice. Rather, White gives viewers affectionate and sensitively rendered portraits of black Americans, often set against a stark white background, and allows for their innate dignity to speak for itself. 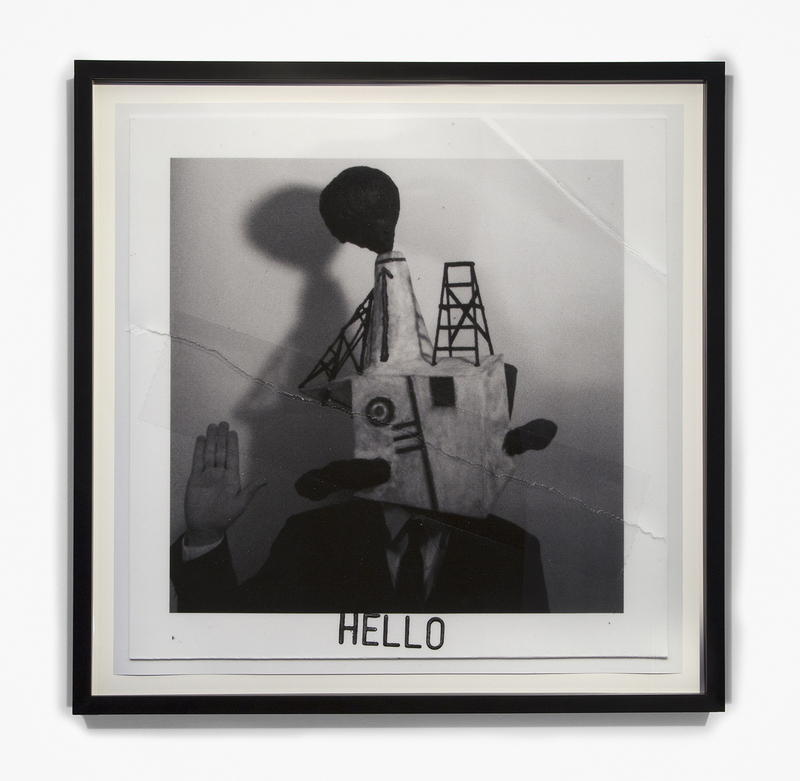 One of the final images viewers encounter is White’s iconic Black Pope. Closely resembling the Wanted Posterseries in its color and texture, the painting depicts a man wearing clothing reminiscent of priestly vestments, flashing what could be interpreted both as the peace symbol, or the sign Christ makes in icons while bestowing a blessing. Barely discernable, “Chicago” is stenciled atop the image, and the figure wears a sandwich board which proclaims with calculated ambiguity: “NOW”– an all-encompassing call to action. 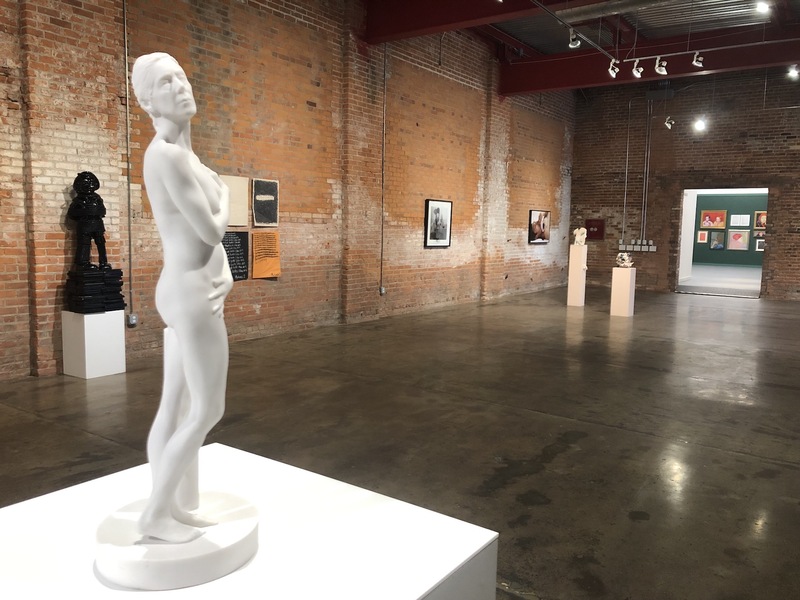 Installation view of the exhibition Charles White: A Retrospective.October 7, 2018–January 13, 2019. The Museum of Modern Art, New York. Digital Image © 2018 The Museum of Modern Art, New York. Photo by Robert Gerhardt. 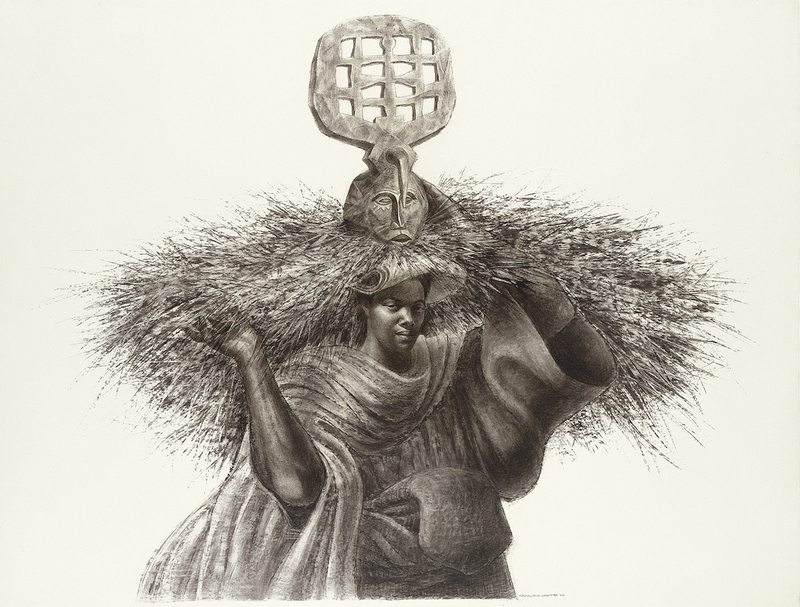 Charles White: A Retrospective is a massive show made even more impressive when we consider that the overwhelming majority of these works are fastidiously rendered figurative drawings—there are no easy shortcuts to quickly fill wall space. Furthermore, while his drawings are impressively large, they always reward close inspection with their varied stippled and hatched-in textures. Today, his work hangs in many of America’s great museums—the Metropolitan, the Chicago Art Institute, and the Smithsonian, to name a few. But his legacy isn’t just the art he created, but the many students who emerged under his shadow, such as Kerry James Martial, who stated that Charles White believed that one’s work “should be in the service of helping dignify people.” His work did exactly that, and this retrospective triumphantly speaks to White’s unflagging and determined mission to portray black America with the dignity it deserved. 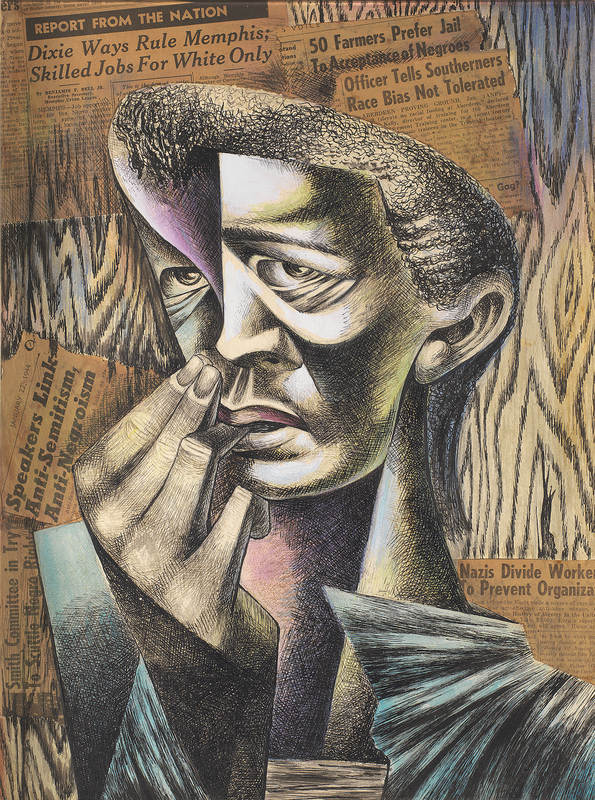 Charles White: A Retrospective, through January 13, 2019 at the Museum of Modern Art, NYC, NY.